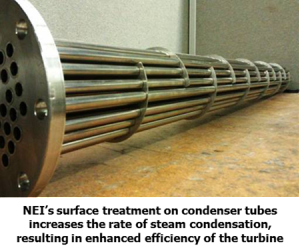 Somerset, New Jersey – NEI Corporation announced today that it has introduced NANOMYTE® SuperCN Plus – a functionally graded coating that imparts superhydrophobic properties to the underlying substrate while providing greater abrasion resistance compared to existing superhydrophobic coatings. Surfaces treated with SuperCN Plus force liquids to bead up and roll off, shedding water instantly and leaving the surface completely dry. SuperCN Plus can be applied to a variety of substrate materials, including plastics, metals, glass, painted surfaces, and fabrics. NANOMYTE® SuperCN Plus consists of a hard and abrasion resistant outer layer that transitions to a softer material closer to the substrate. 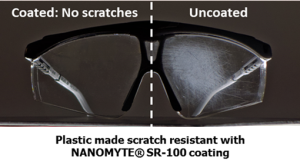 Such a functionally graded coating represents a major advancement in the state of the art and is in sharp contrast to monolithic superhydrophobic coatings that consist of a relatively soft material that is easily abraded or rubbed away. 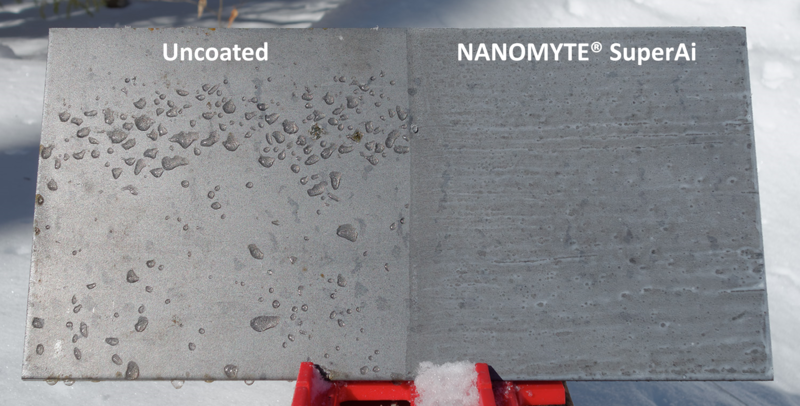 Figure 1 – Both panels above were coated with superhydrophobic coatings and subjected to equal abrasion conditions. The panel on the left (conventional off-the-shelf coating) shows abrasion marks, while the panel on the right (SuperCN Plus) shows no visible signs of wear. 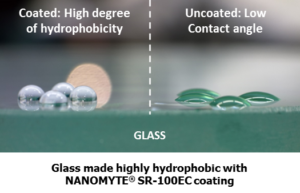 Superhydrophobic coatings rely on creating and maintaining a composite of micro and nano-sized surface structures that work together to trap a layer of air that can repel most liquids. 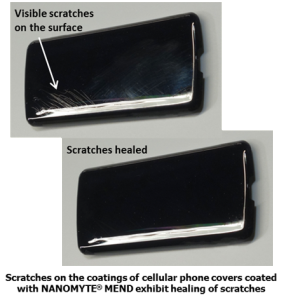 Off-the-shelf superhydrophobic coatings tend to have poor durability because they are unable to protect these delicate surface structures from abrasion, resulting in rapid loss of superhydrophobicity. Due to the graded structure, SuperCN Plus maintains its superhydrophobicity and high contact angle even after moderate damage. Additionally, it exhibits good adhesion to the substrate. Surfaces treated with SuperCN Plus show water contact angles as high as 165°. 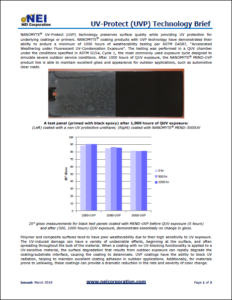 After moderate abrasion, where traditional superhydrophobic coatings begin to show significant damage and delamination, SuperCN Plus remains intact and has been shown to preserve its superhydrophobicity with contact angles over 158°. 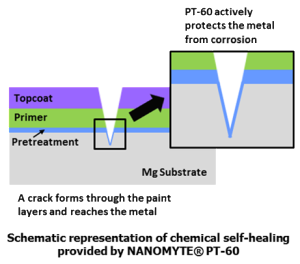 Figure 2 – Water droplets on a metal substrate surface coated with NANOMYTE® SuperCN Plus, showing a high contact angle > 150°. 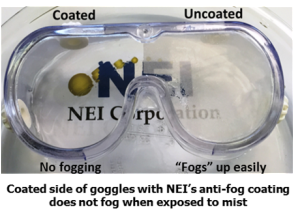 Since the superhydrophobic coating is enabled by innovations in both process and materials, NEI is currently offering in-house coating services for industrial applications wherein customers can send parts of any geometry and size. The turnaround time is expected to be no more than 3 – 5 business days. 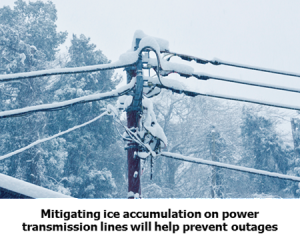 If needed, the modular Super CN Plus coating process can be transferred to the OEM site.